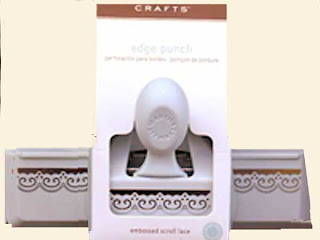 This Martha Stewart Embossed Scroll Edge Punch is great for a delicate look. 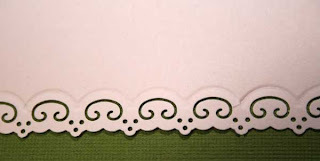 It is great for wedding and baby cards or any kind of card that you want to have a very delicate feeling. $13.99 plus shipping. Please e-mail me if you would like to purchase this punch. I accept Visa, Maser Card and PayPal.